It’s Shark Week! Check out which strains to look for at your dispensary during next weeks shark-infested TV marathons. Watching the numerous shark documentaries during Shark Week can be a great time of the year for cannabis enthusiasts. Whether you want to melt into your couch for hours of shark entertainment or you’d like the mindset of an ocean predator, we’ve got a list of 8 great strains that can make shark week a blast. A heavy indica, this strain will keep you glued to the TV while you melt into a happy state of relaxation. The top effects include relaxation, euphoria, and hunger. For medical patients, symptoms that are alleviated by this strain have been among pain, stress, and depression. This high-CBD indica will take all the aches and pains away from a shark attack, along with some great night time relaxation after a long day of work. With high CBD, users will find a clearer headed high which should be great for those longer documentaries. 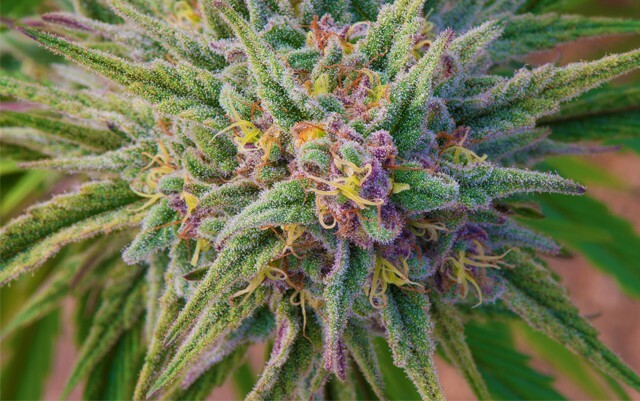 This hybrid is the offspring of South American and South Indian sativa, with a little bit of super skunk indica. It will make the body feel relaxed and should bring your consciousness to another level. This strain won the 1997 cannabis cup, so be prepared for levels of THC that could medicate a shark. Considered a 50/50 hybrid, this strain was bred for potency and concentrate extraction. With THC rising above 24%, this tropical smelling bud will be perfect for making a tincture or using it for edibles. This indica dominant hybrid is a cross of the famous super skunk and white widow. This strain is becoming more and more popular for home growers. With high yields and compact size, this cannabis is perfect for medical patients that need a high-CBD strain that can be grown easily. This Canadian strain has the power to eliminate pain, nausea and sleep disorders with a relatively small dose. The genetics are still a little bit of a mystery, but the cultivation can result in 4 different phenotypes. User feedback has concluded that OG sharks most influential effects are being uplifted and happy. One of the most legendary strains around the world, this hybrid will take you to shark infested waters with its high potency and cerebral effects. What better way to spend shark week than with what some would say is the best strain of cannabis on planet earth? A famous blend of Purple Urkle and Big Bud, this Californian indica is notorious for creating a dream-like mental faze that will accompany shark attacks perfectly. For medical patients, this strain can alleviate muscle spasms, stress, and chronic pain. What is your favourite strain these days? What will be your go-to bud for shark week? Let us know on social media or in the comments below!